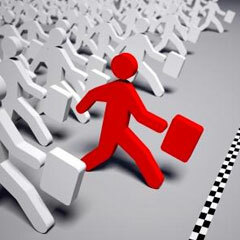 When it comes to become competitive in a saturated industry, it is for sure that you need the best possible tools and the right team in order to prove to prospective clients that you are the right person to do business with, and when it comes to the gambling industry, bookies are aware of the fact that they need the services of an experienced pph company such as Book per Head in order to assist them in every stage of their career as professional bookmakers. Why? Well, because a top establishment such as ours is fully committed to the mission of helping agents to achieve their goals thanks to a carefully crafted service strategy that includes phone, internet and even casino solutions. The primary business objective of a bookmaker is to make as much cash as possible, and in order to get to where he wants to be, he needs to focus his efforts on offering customer-focused solutions, as even though bettors tend to be people that likes a prompt, to-the-point service, they also want to be treated with respect and empathy, and that is why we at Book per Head count with a specialized team of individuals whom are ready to provide with proactive, professional services that allows bookies to keep a healthy relationship with their clientele. We at Book per Head strive to offer solutions which are cost-effective, and that is why all of our services are based on actual usage, meaning that if you are a bookmaker that has 500 clients and only 100 of those had any wagering action during a given week, then we will only charge you for those 100 and not for those whom remained inactive during the same length of time, saving you a substantial amount of money. Another key advantage concerning the utilization of pay per head services resides in the fact that a superior company like ours count with its own team of skilled and experienced line movers whom were specially hand-picked as we want that the bookies that does businesses with us to count with quality lines that are attractive to the eyes of their customers but that can also give the agent the edge in order to cash-in as much as possible while remaining trustworthy. As you can see, our highly skilled workforce, and the fact that we are a company that is able to provide with outstanding solutions for really affordable prices makes us one of the preferred choices amongst bookies, and if you are an agent that is looking for more information on how we can help you, we invite you to give us a call at 1-877-774-0999. This entry was posted in Articles and tagged bet, betting, bettors, book per head, bookie, bookies, bookmaker, bookmakers, competitive, gambling, gambling industry, pay per head, price per head, professional bookmakers, saturated industry on January 17, 2012 by Mark.